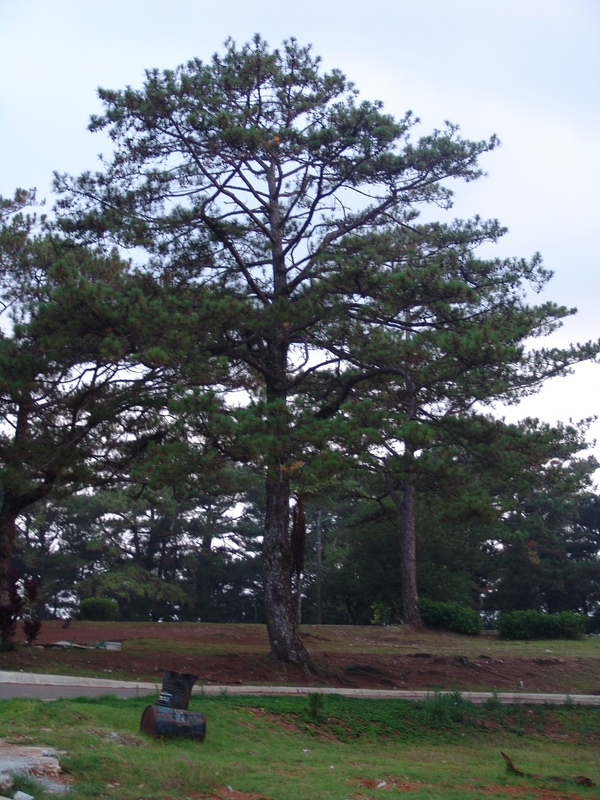 Whenever I am in Baguio, I practically never leave John Hay. Alright, I would go to the SM Mall occasionally, like maybe once in three visits. Then maybe have lunch outside once in five visits. 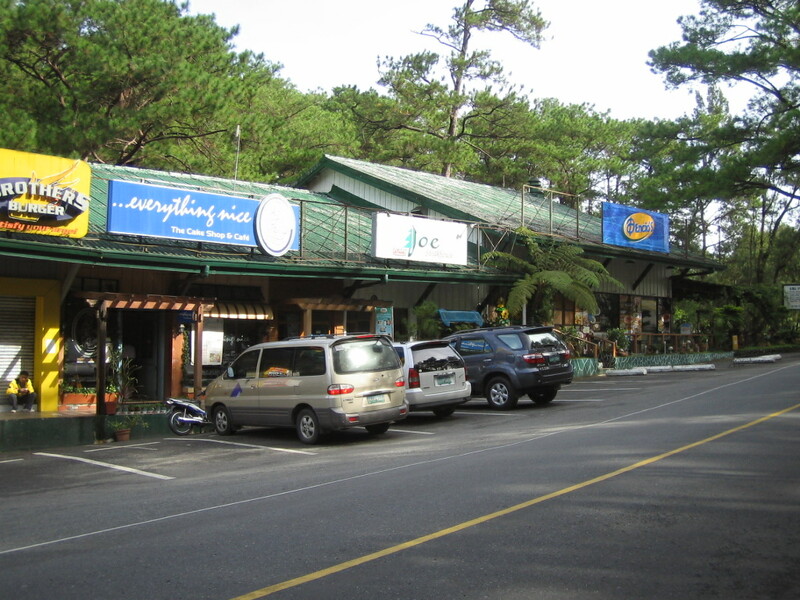 John Hay has everything, and just happens to be the only place in the city that is still dotted with pine trees. 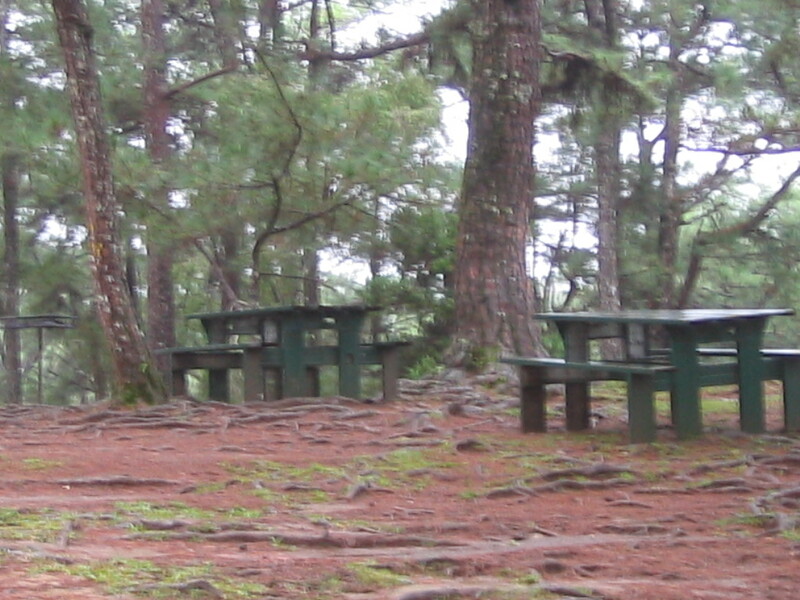 Thus, living up to the Baguio in everyone’s mind. Golf. 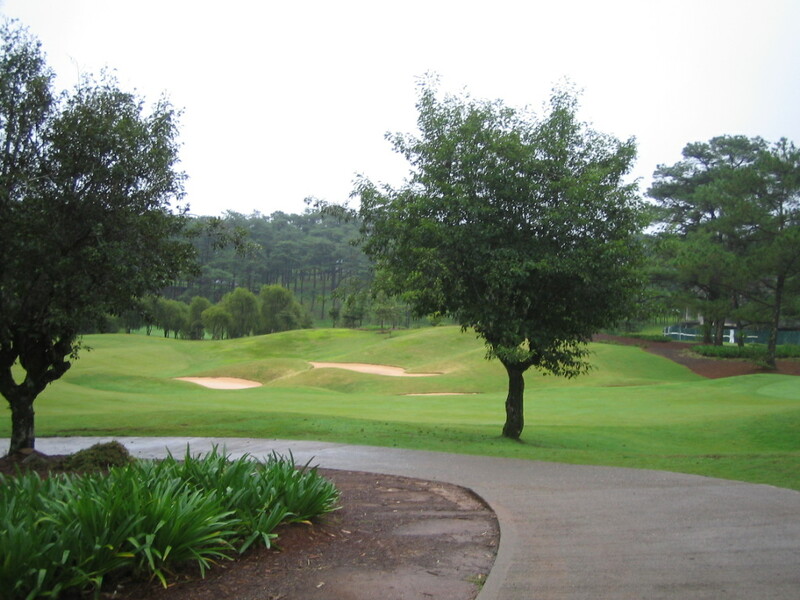 A Nicklaus designed golf course set among pine trees. 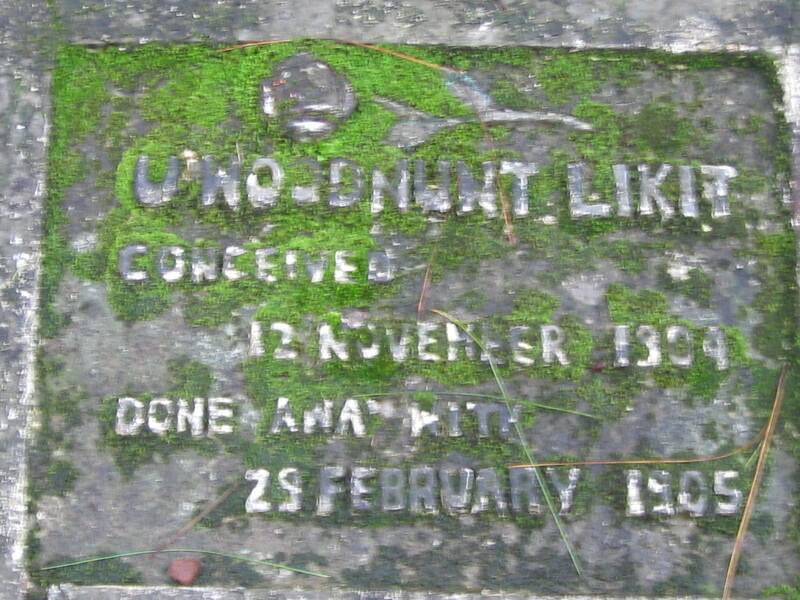 A mini golf. Shopping for export overruns and items at factory prices. Wine shops and delis. 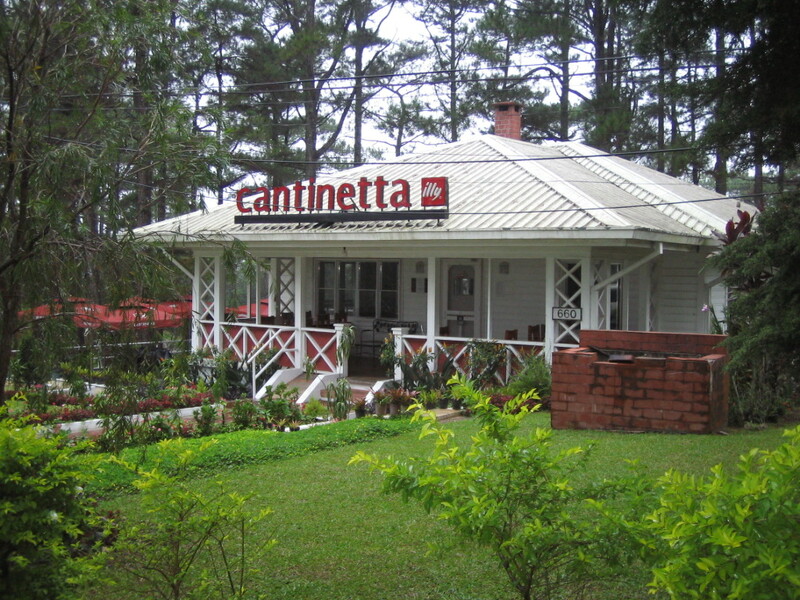 Restaurants and cafes. 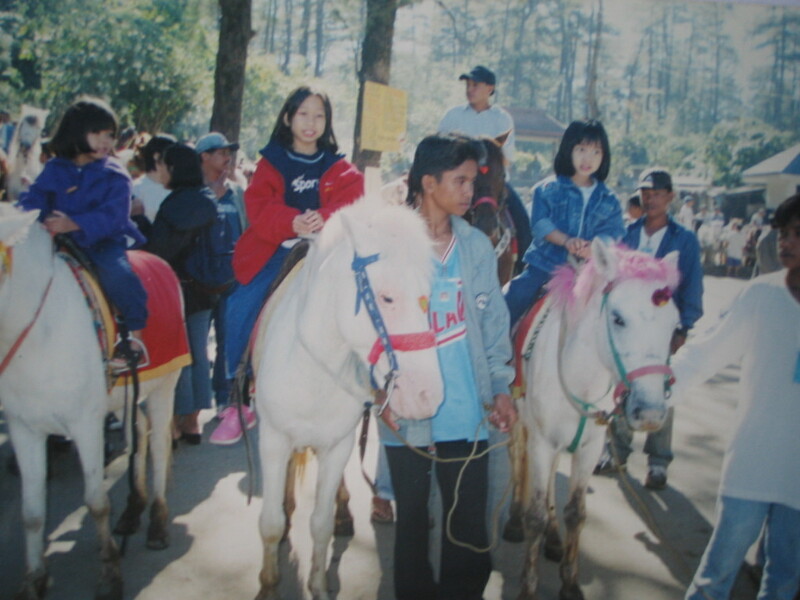 A horse-ride trail. 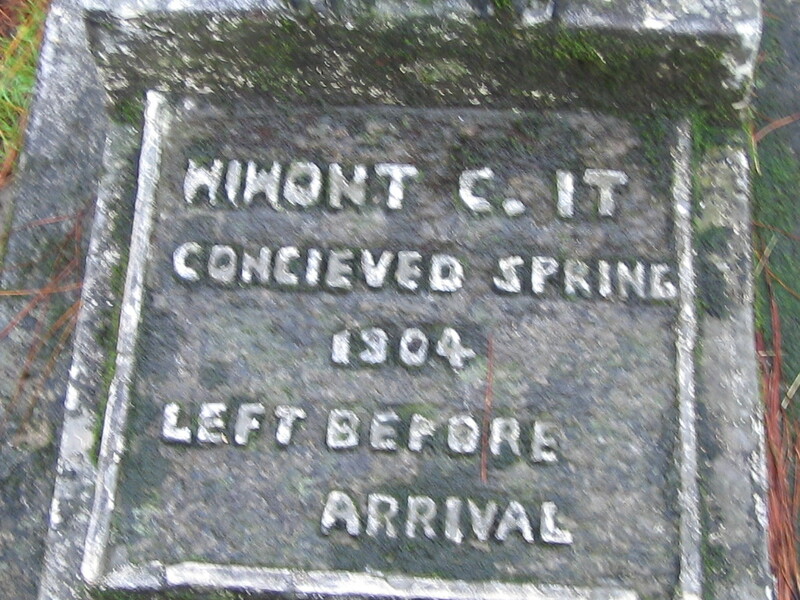 A hiking trail. Paintball. 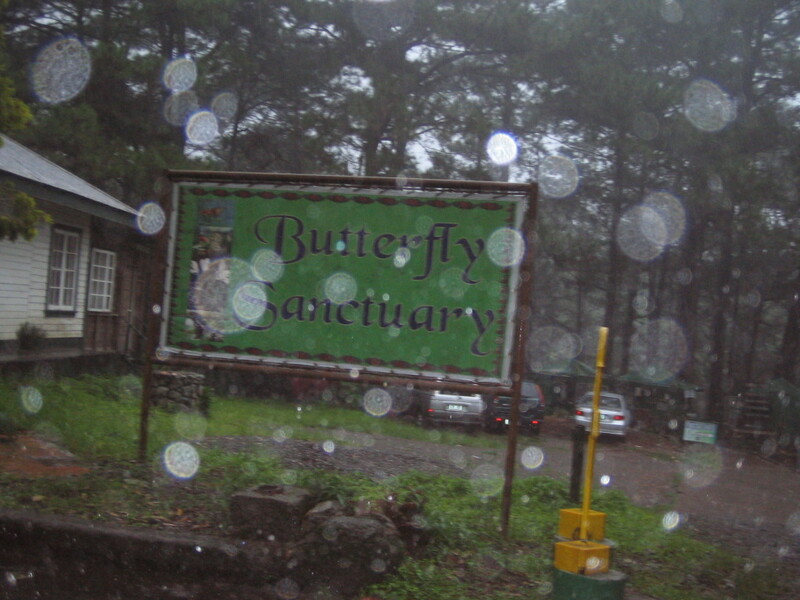 Butterfly sanctuary. 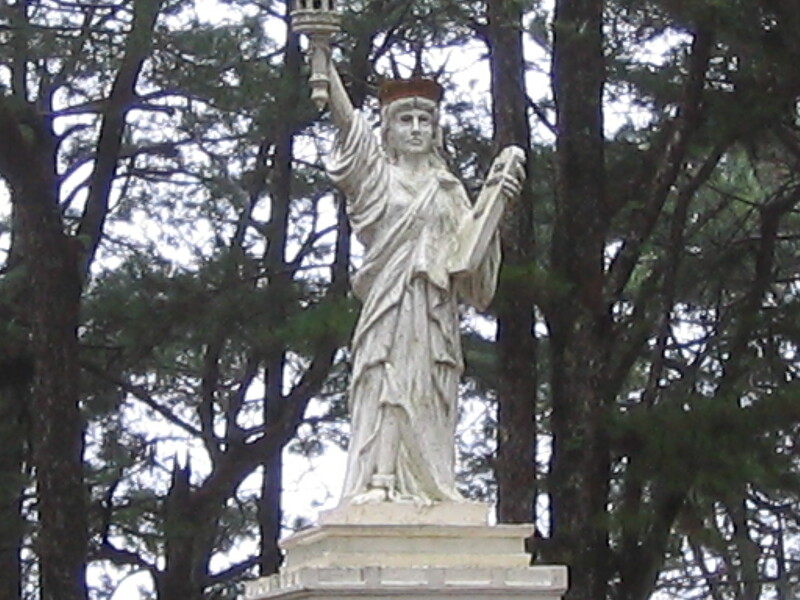 A smaller version of the Statue of Liberty. Plus restaurants and coffee shops. And fresh mountain air. 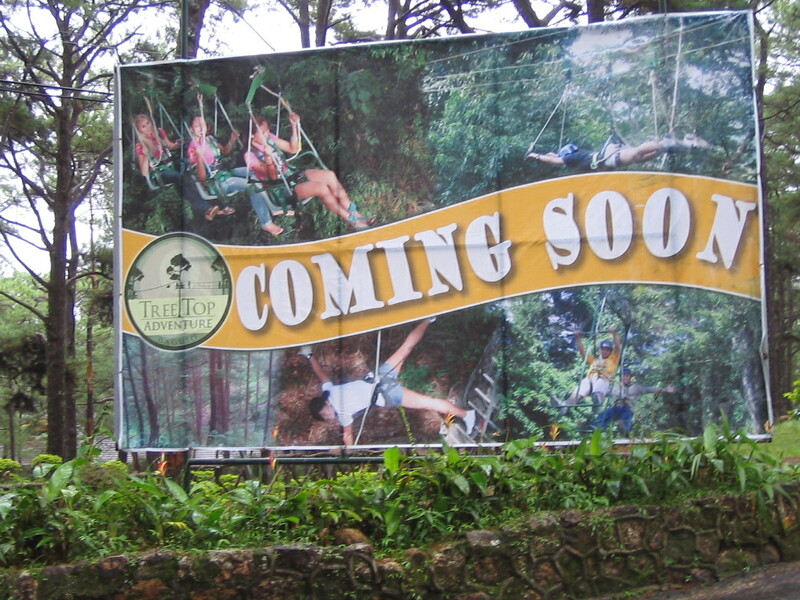 Update: The Treetop Adventure has actually opened for business. Find them near the Historical Core, at the back of the Statue of Liberty. 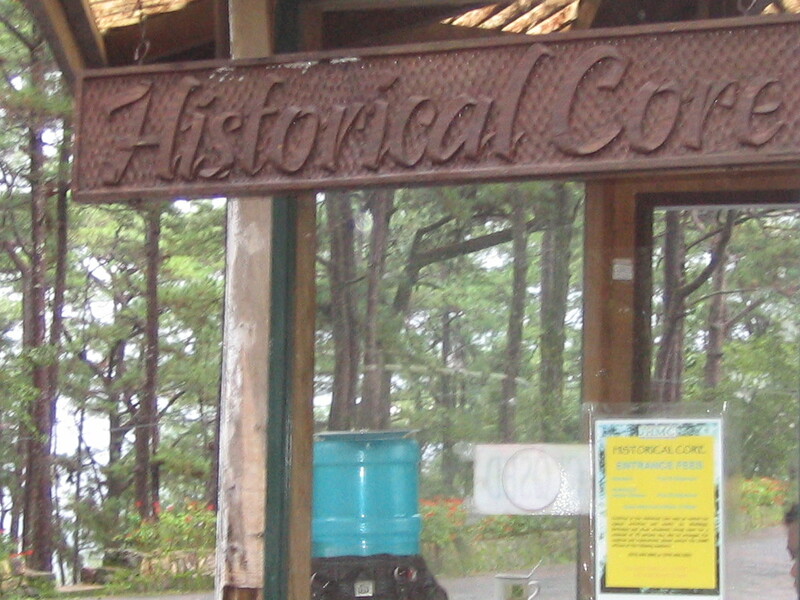 Entrance fees are collected. 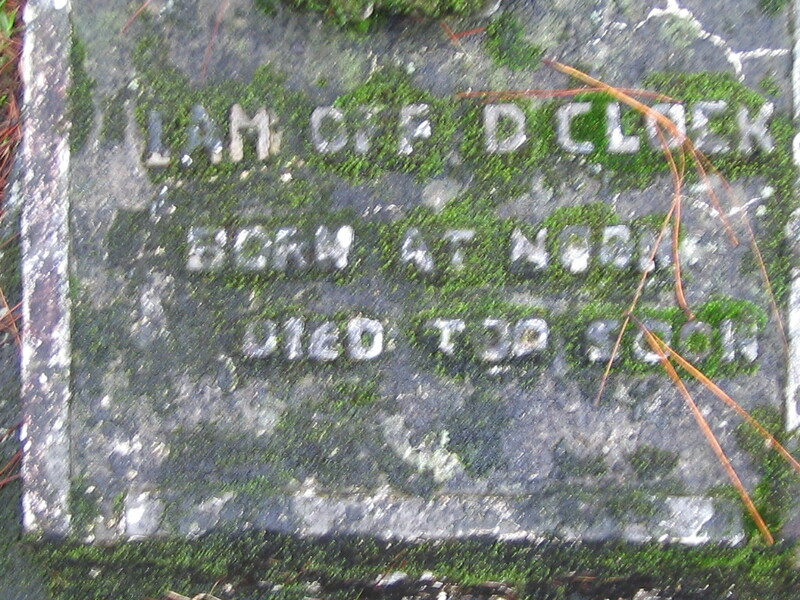 Visit the old Bell House and Amphitheater. 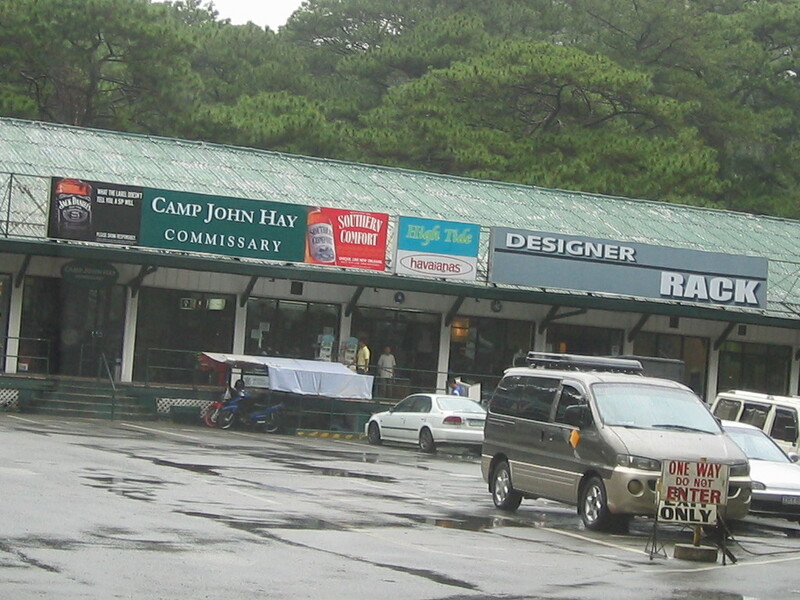 re-live Baguio and John Hay when the base was then exclusive to the American military and their guests. 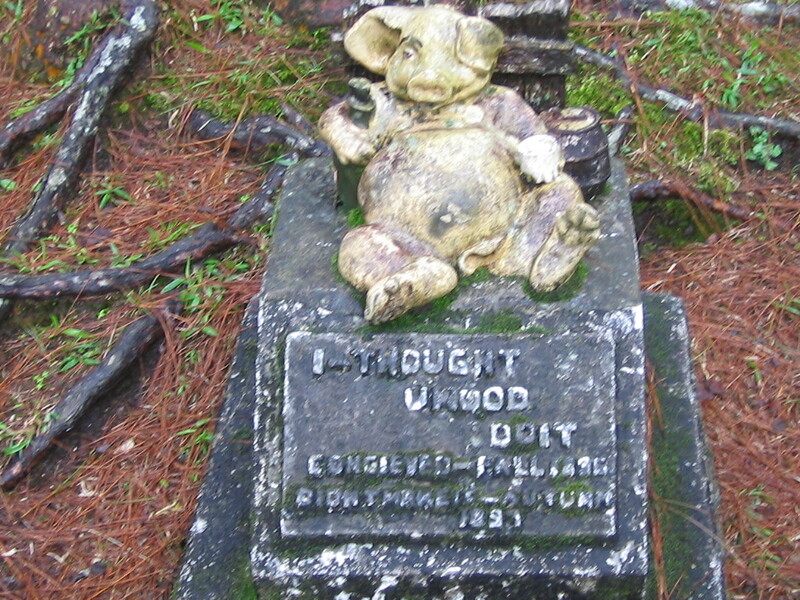 The Lost Cemetery/Cemetery of Negativism. This was created by as a way of throwing away angst, anger, loneliness, and any other negative thoughts among the US military personnel as a way to cleanse their minds and hearts. 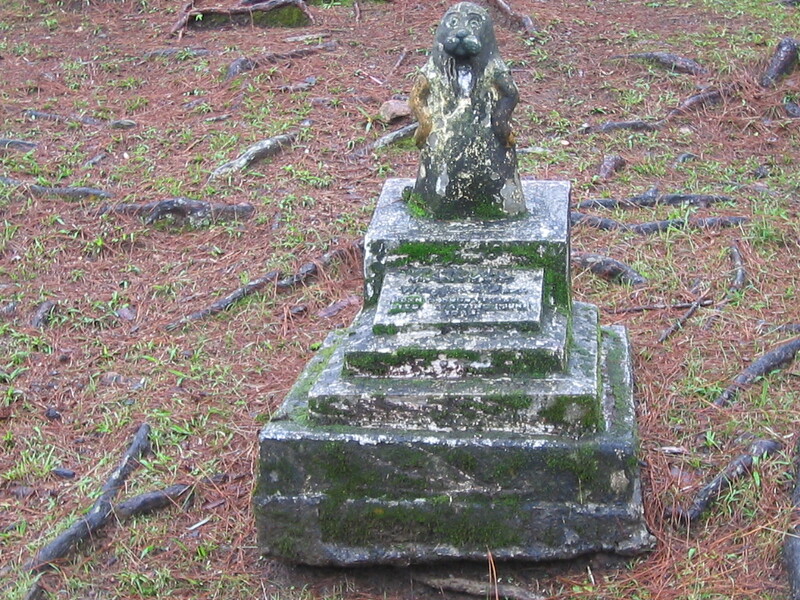 Tombstones thus carry messages of the angst they were getting rid of, and burying underground. There are essentially 3 sections where these are concentrated: near the golf course, at the commercial center near the Manor, and at the Filling Station near the CAP Convention Center. 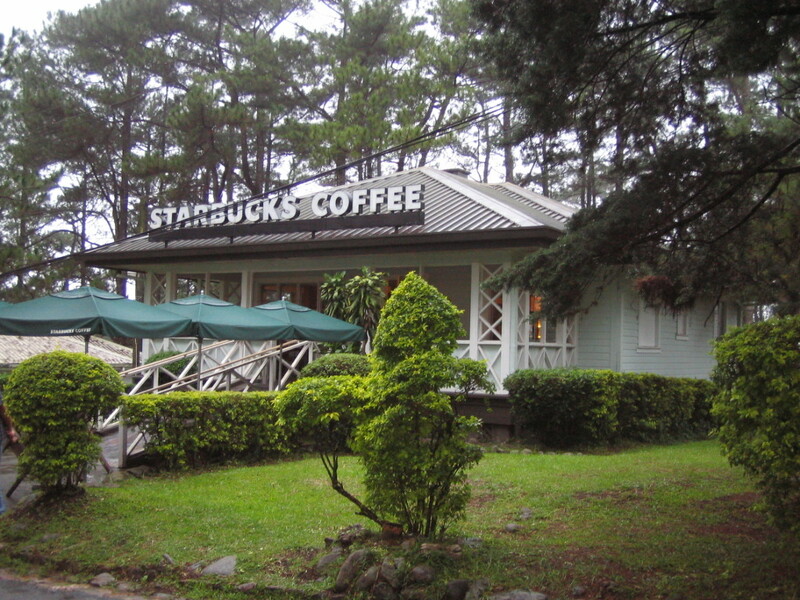 The cafes near the golf course: House of Waffles, Starbucks, and Cantinetta. 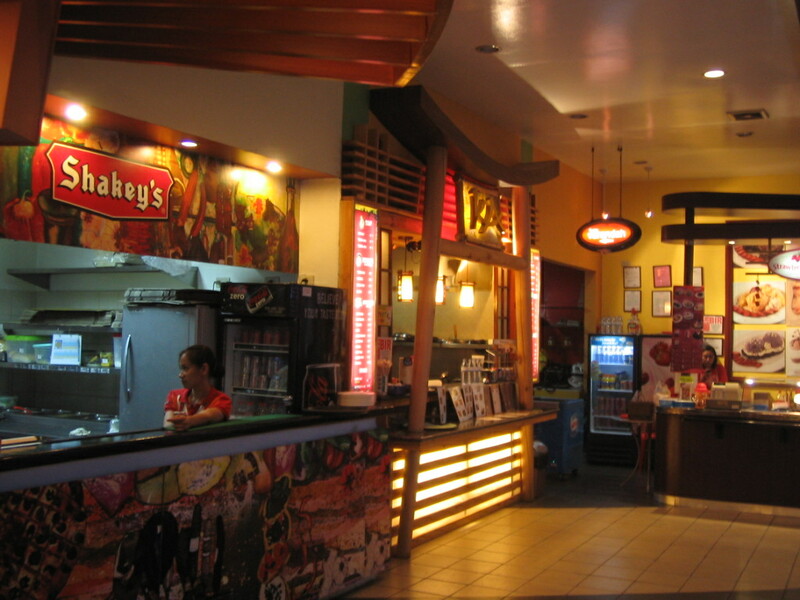 The Shops at the Commercial Center: My favorites are Diners, where I almost always have my breakfast, and Dencio’s, when I crave for spicy crispy pata and sinigang na bangus belly, and sisig. 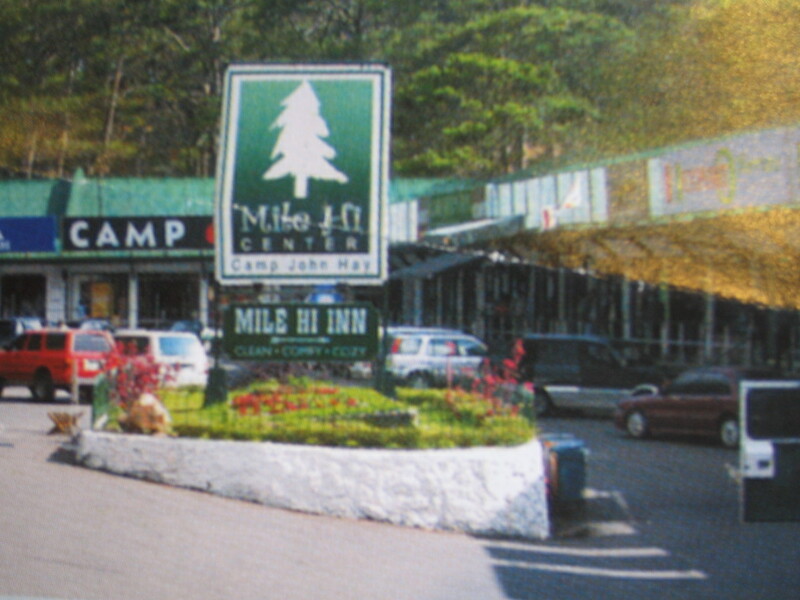 There is also a cake shop called Everything Nice, Carlo’s Pizza, a cafe at Mile-Hi Inn, and a coffee shop at the end of the center. 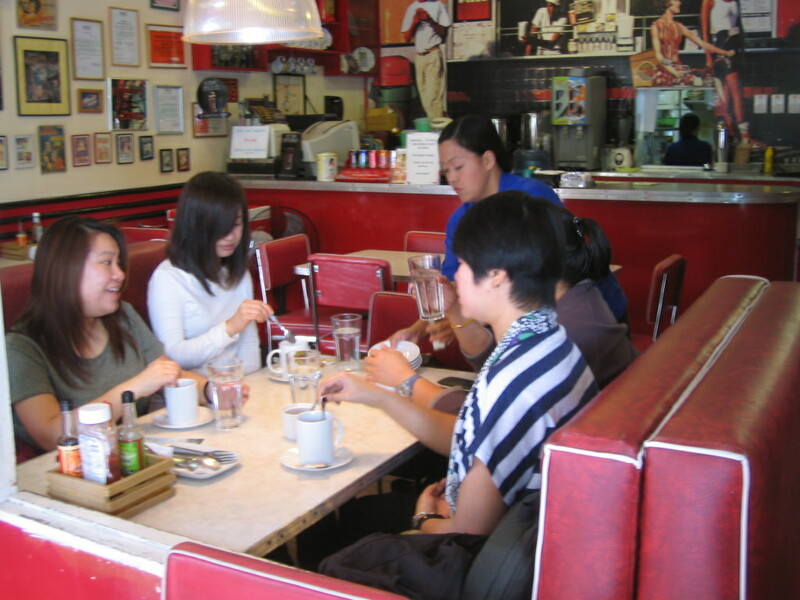 breakfast at Diner's : tapsilog or corned beef hash? 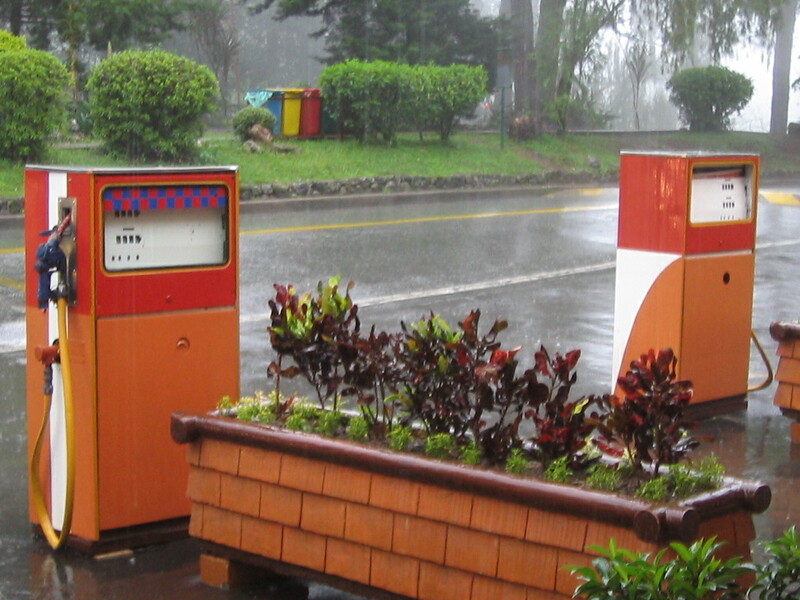 Filling Station. This area has metamorphosed into a more interesting eating out place. 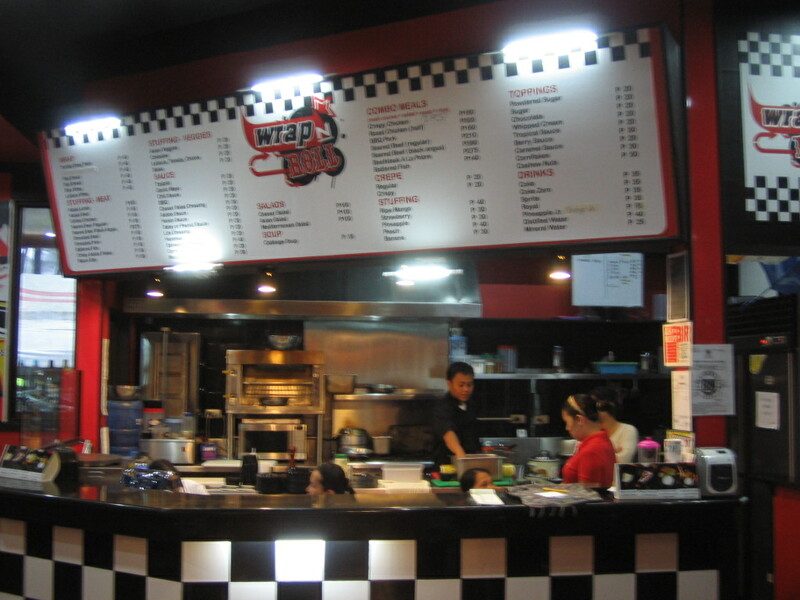 There is Shakeys, a Japanese resto , an ice cream parlor, Hotshots, Wrap & Roll, and a deli called Dinelli. 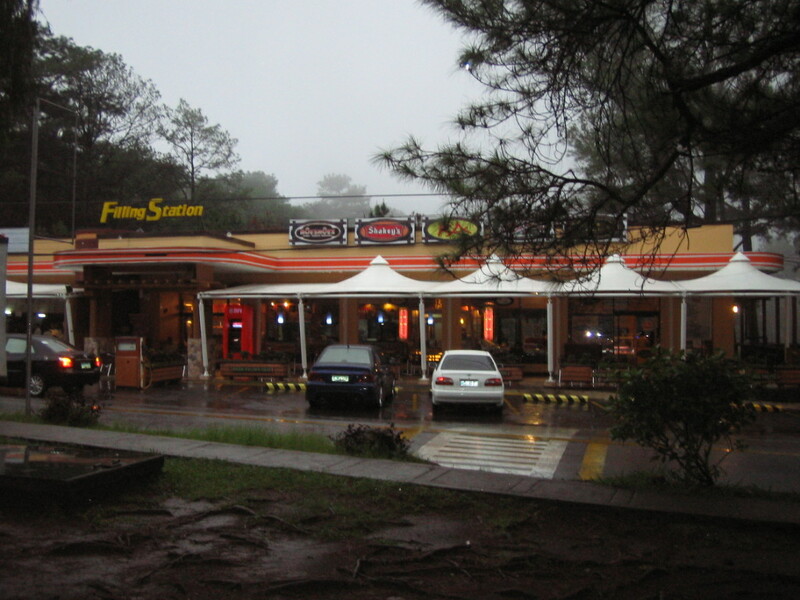 Seating is al fresco – – on the road to watch people go by, or at the veranda at the back with a thick forest of pine trees as your setting.When it is too cold, you may also take the seats inside the building. 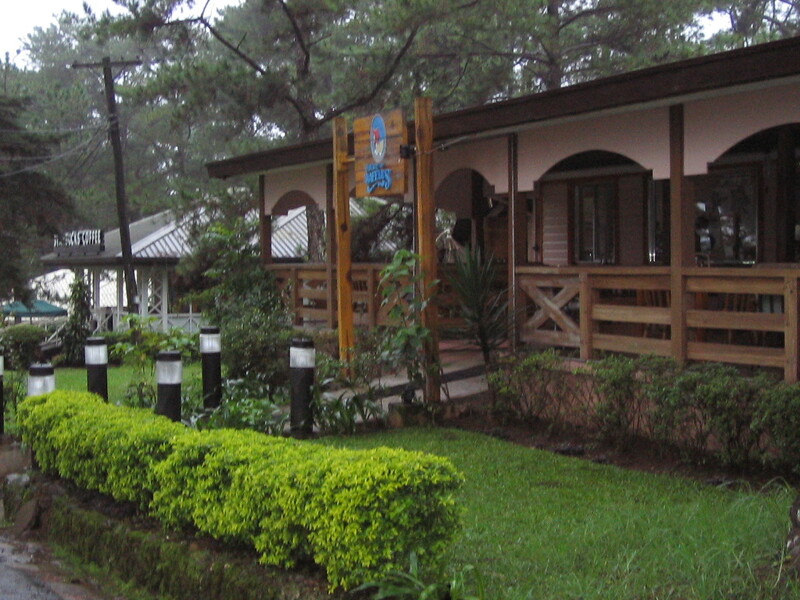 Worth a special mention is a stand-alone restaurant called Chocolate de Batirol at the Igorot Park near the gate going to the Baguio Country Club. 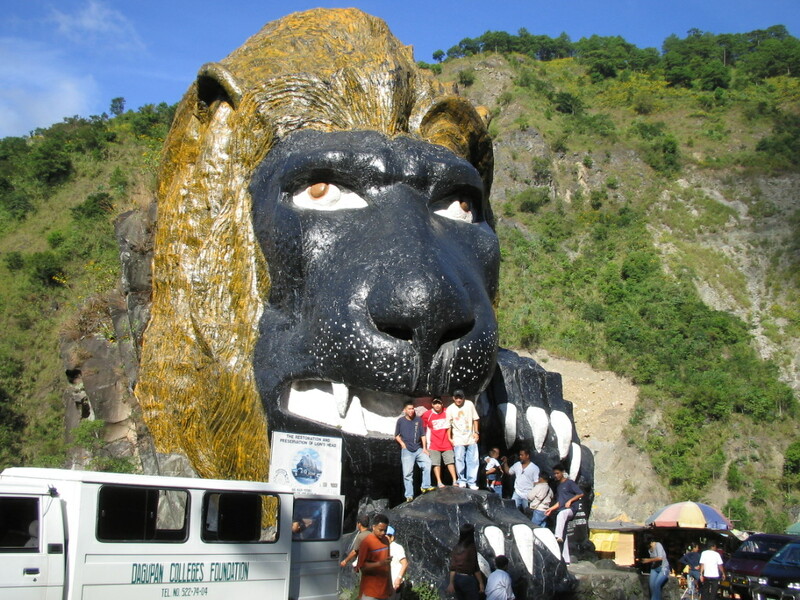 This is one of the most famous in Baguio. 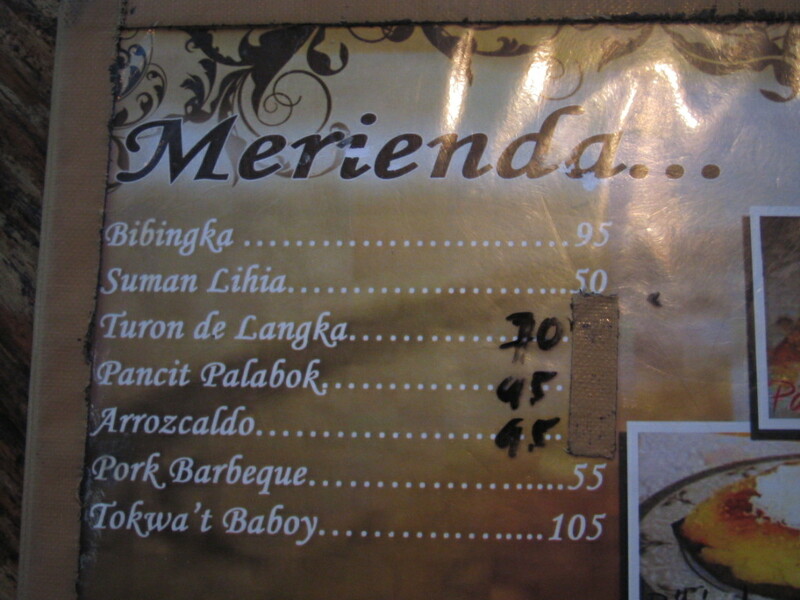 try bibingka with chocolate de batirol. They also serve lunch and dinner, al fresco, with the golf course as your view. 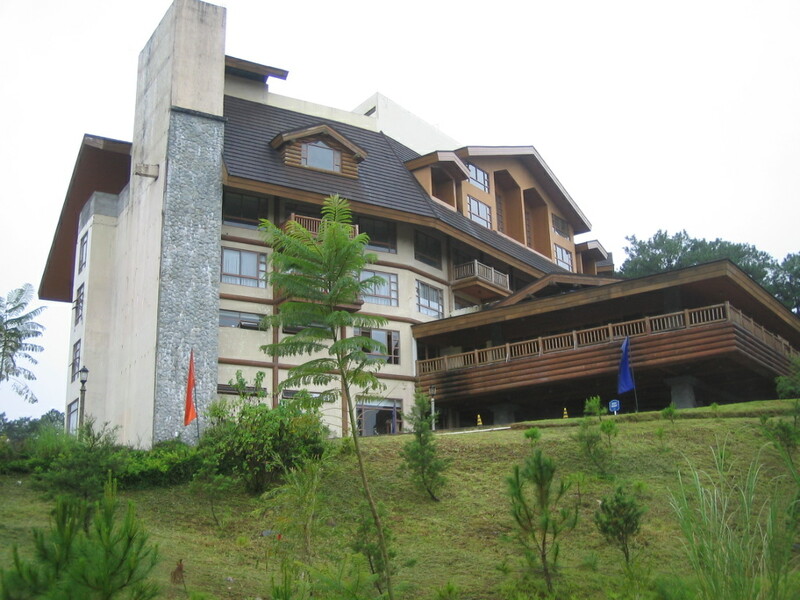 John Hay has the best hotel in the city. 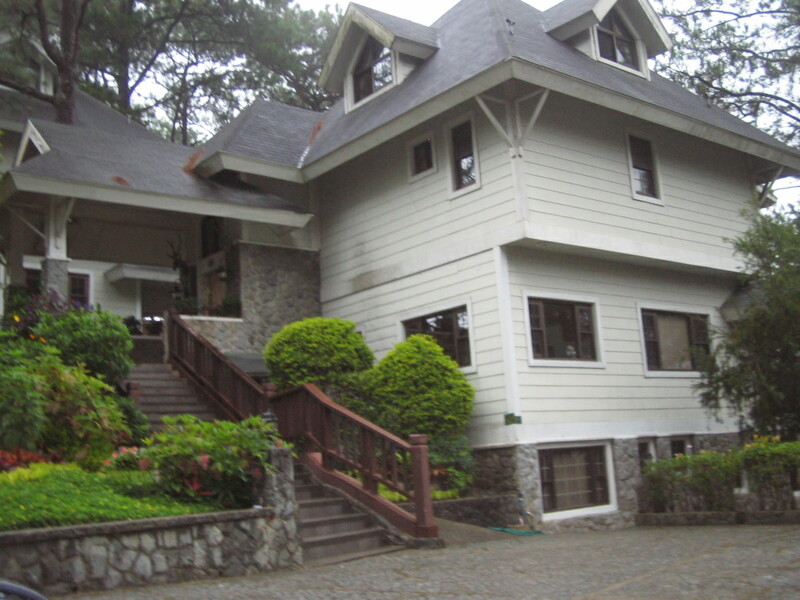 John Hay Manor has a country charm, with rooms furnished in the Cordillera theme. Guests have a choice of regular rooms, rooms with a veranda, or 1-bedroom and 2-bedroom suites, with living and dining areas. The bar with a fireplace is a hub in the evenings. The bakeshop sells the best raisin breads, wines, ground coffee, ice cream, and interesting finds. 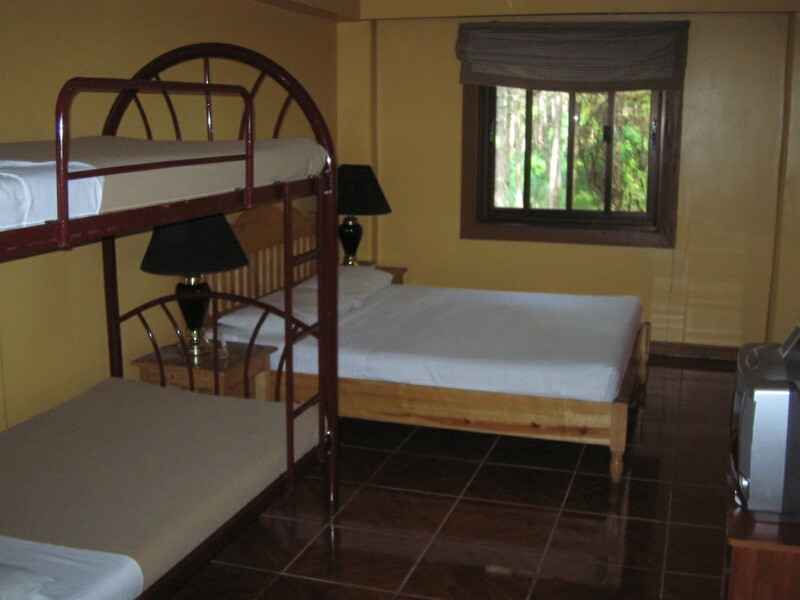 John Hay Manor rooms start at P5,200 with 2-bedroom suites at P12,300. The Suites is partially open, right beside the Manor, overlooking the golf course. As a John Hay Manor property, bookings can also be made with the above number. Some owners rent out their vacation homes. 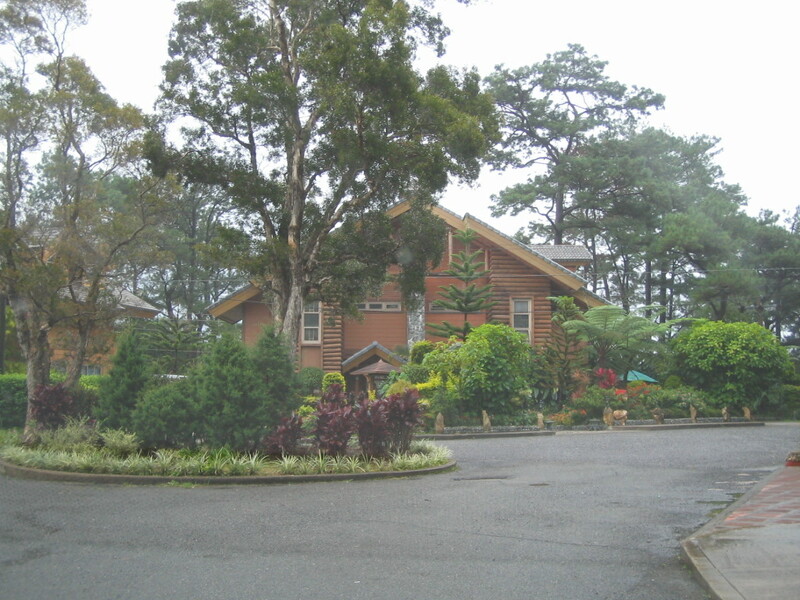 At the Forest Estates, 3-bedroom forest cabins, fully furnished, are rented out for P15,000 per day during the peak season (Christmas, Holy Week, Panagbenga flower festival) to as low as P10,000 per day on the rainy months. These homes have a fireplace, living and dining, 3 T&B, ref, oven, microwave, cooking utensils, pots & pans, plates, cups and saucers, drinking glasses, spoons & forks etc that renters need only to buy food to cook. 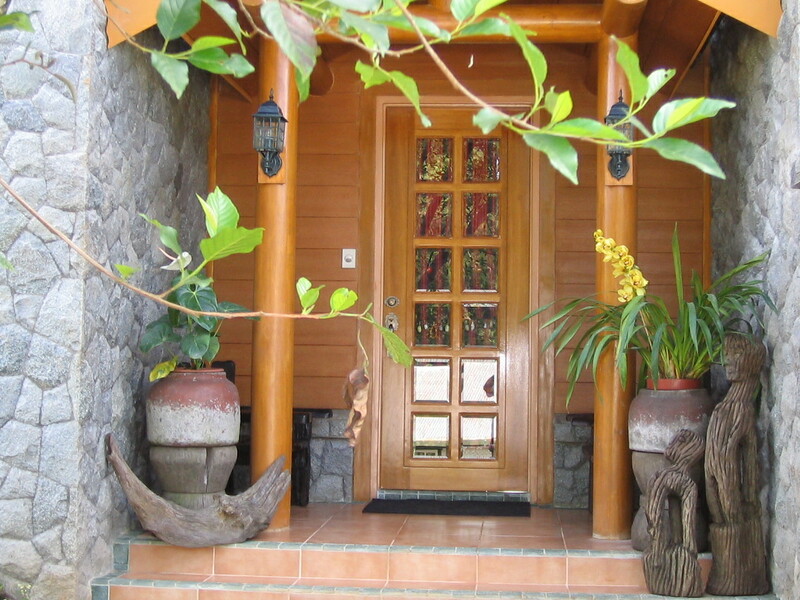 These homes accommodate as much as 10 persons, and have carports for 2. At the Country Estates, 4-bedroom Country Homes with a maid’s room rent out for as low as P15,000 when off-peak, and P25,000-P30,000 during peak season, depending on demand. 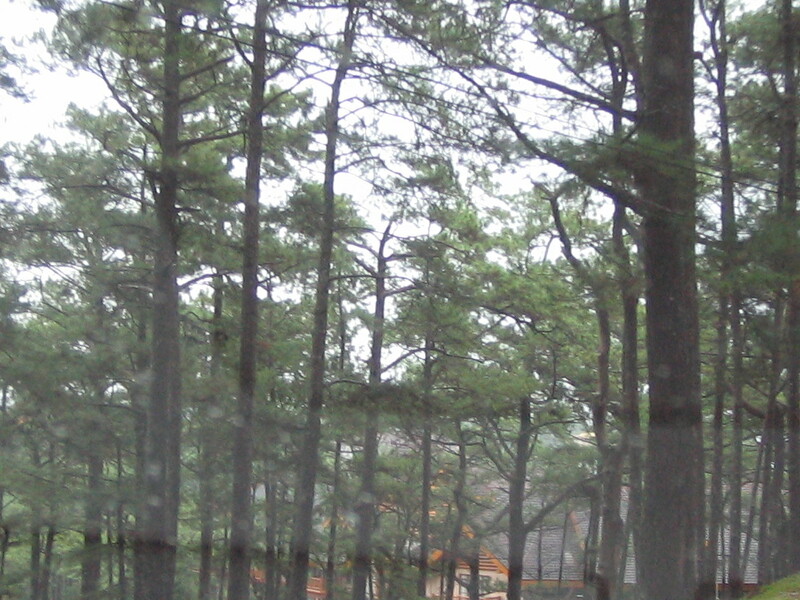 these are lovely homes set within the golf course. These homes can be booked “unofficially” thru the front desk clerks at the Manor Hotel. These are not hotel properties, but these clerks will contact those in charge of these homes and they get commissions from the referrals. 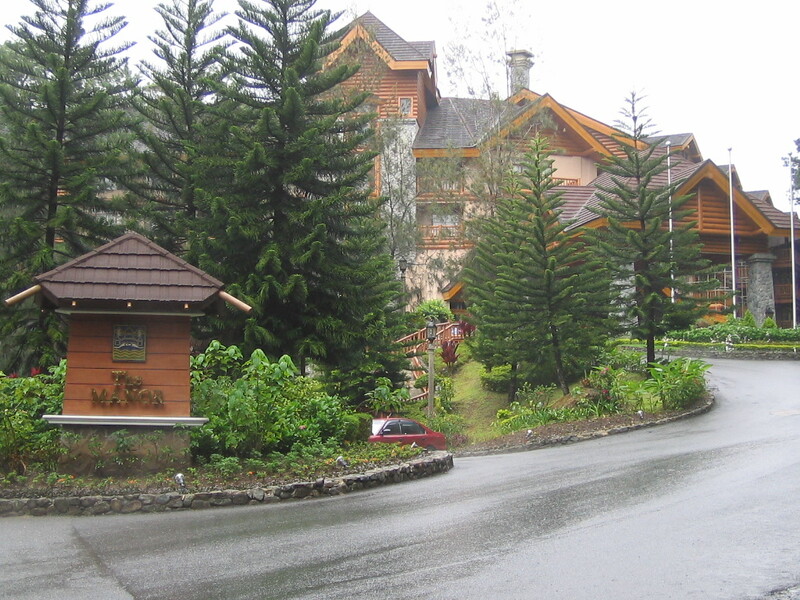 You may end up enjoying John Hay so much that you will want to live there, and have a home built. Homes at Forest Estates (forest cabin) are available at P13M, and you only need to wait 8-10 months for your home’s completion. 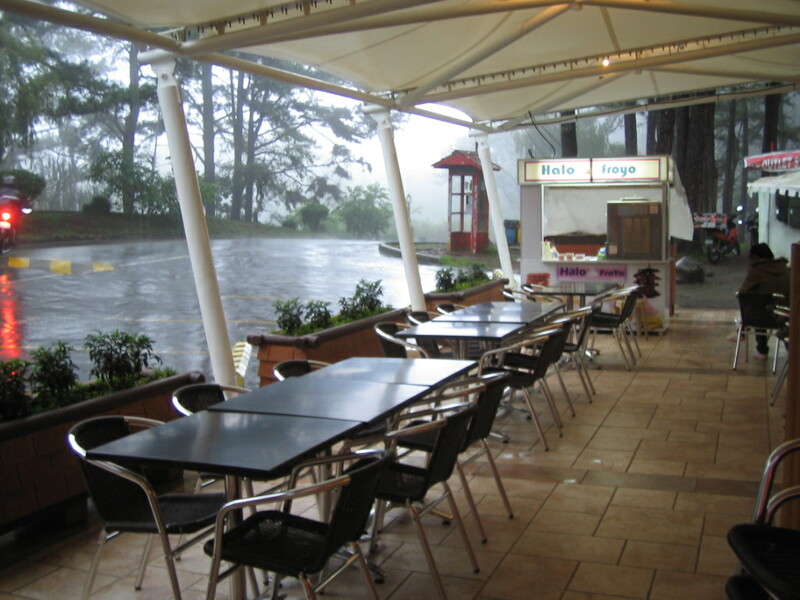 Next time you go up to Baguio, enjoy the experience more by staying inside John Hay. I was born and raised in the city. 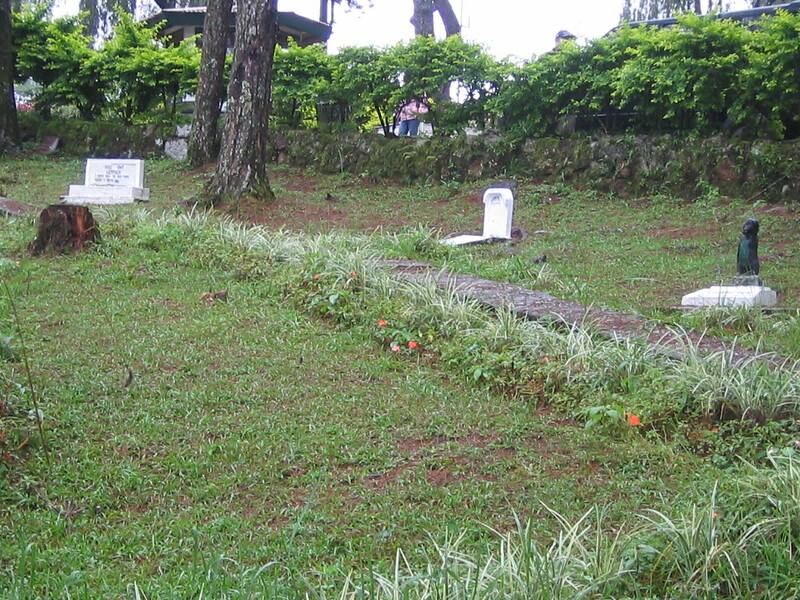 Both my mom and dad trace their roots to Pampanga, but we never really knew any close relatives there. Everyone has migrated to the big city. School vacations inevitably caused me a minor problem – – – almost everyone is going to their hometowns for vacation, I am stuck in the city. What am I going to say when the teacher asks us to write “How I Spent my Summer Vacation”. Boring. 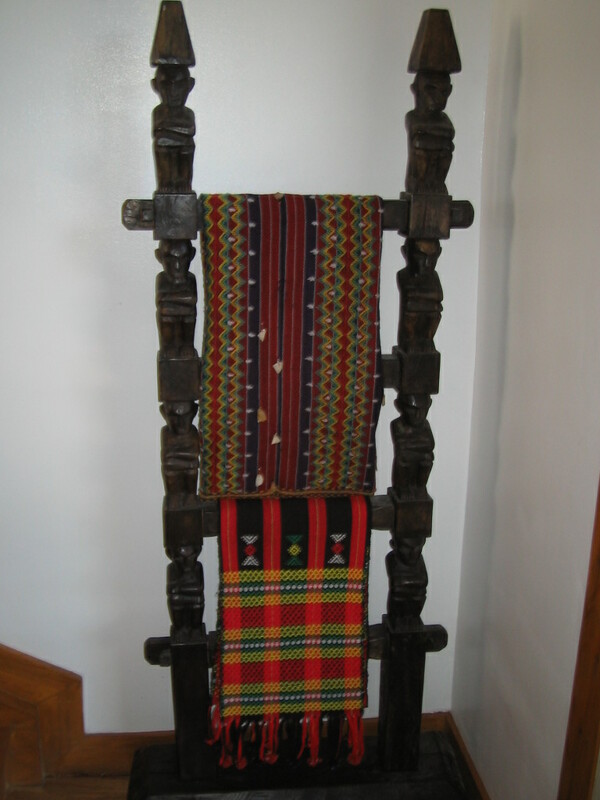 And this went on until some relatives moved back to the province. Then I started having enjoyable summers.But I still could never call it home. 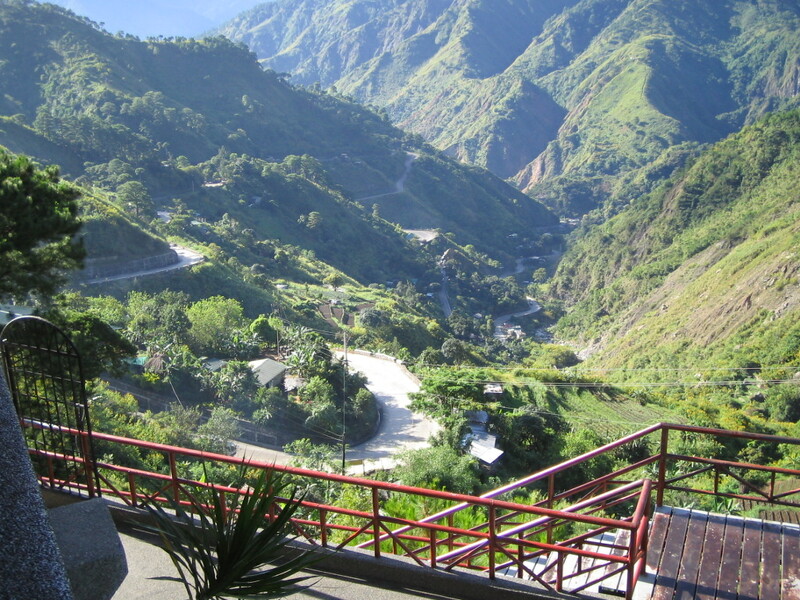 And then Baguio beckoned. 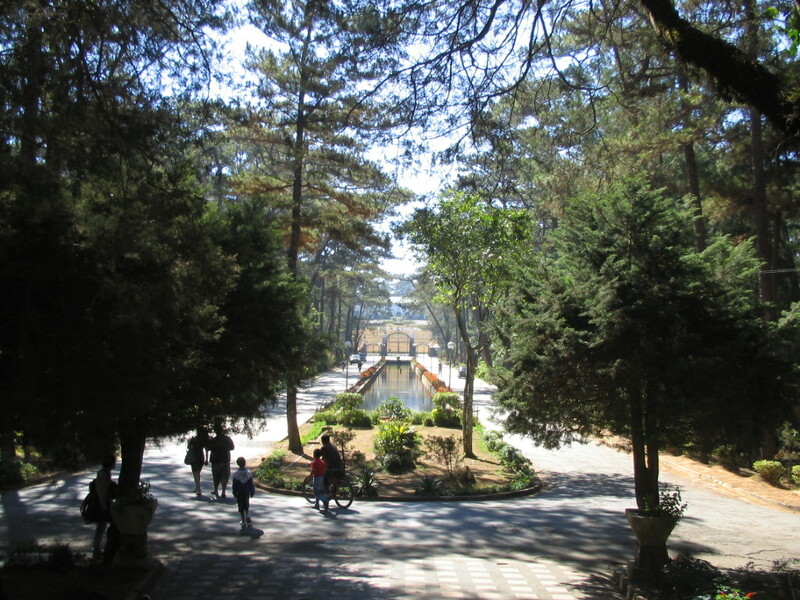 Baguio is a special summer place. So when my wife and I finally had the means, we thought we could finally have our own “probinsiya”, and we didn’t care that it was actually a city. 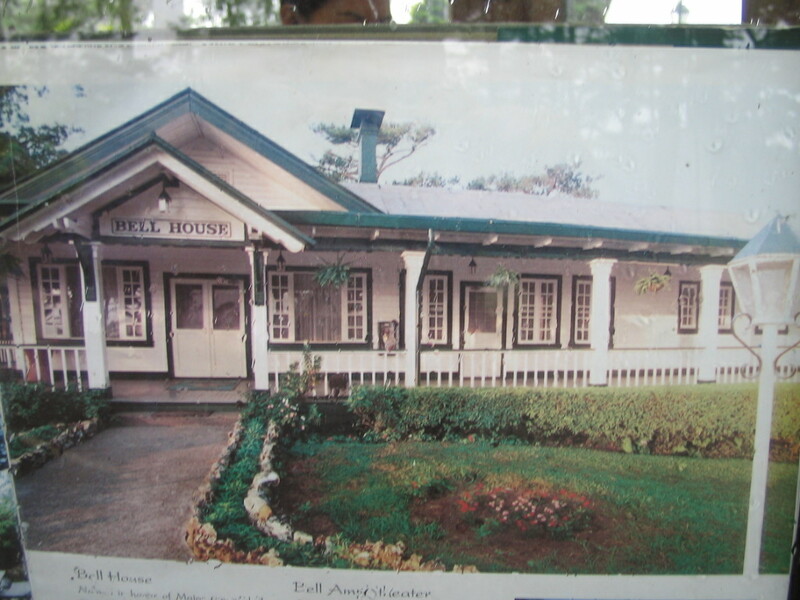 In one of our visits, we stayed in one of the Forest Cabins in John Hay because there were no more suites or cottages available at the John Hay Manor. It turned out to be a good sampler of a house we could own. 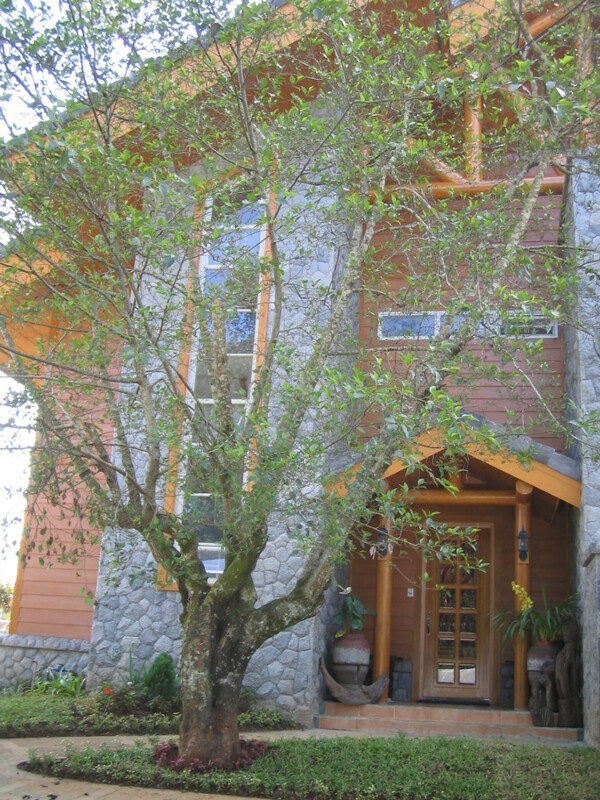 The Forest Cabins are brand new, log cabin type homes. These are not the old white, wooden cottages used by the American servicemen. My wife was bullish, she wanted one. Contracts were signed, and our place was ready for us to use on our wedding anniversary. Now, our own place is there for us and our visitors to stay in anytime. It sits right beside the mini golf, and I could pass the day idly by just sitting in my 2nd floor bedroom veranda, watching dads teach their tots to putt. Or young couples enjoying a game of golf, no matter that it was more play than the real thing. 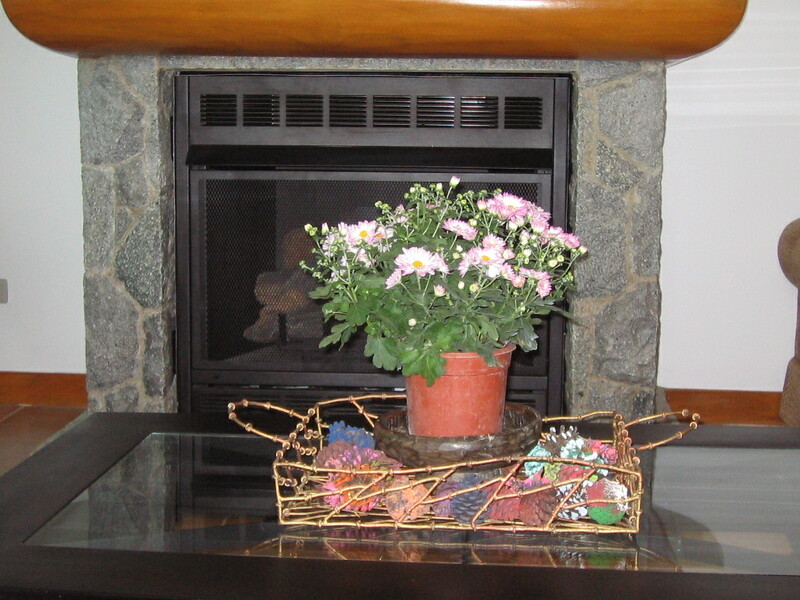 A gas-fed fireplace makes our cold Decembers more comfortable. 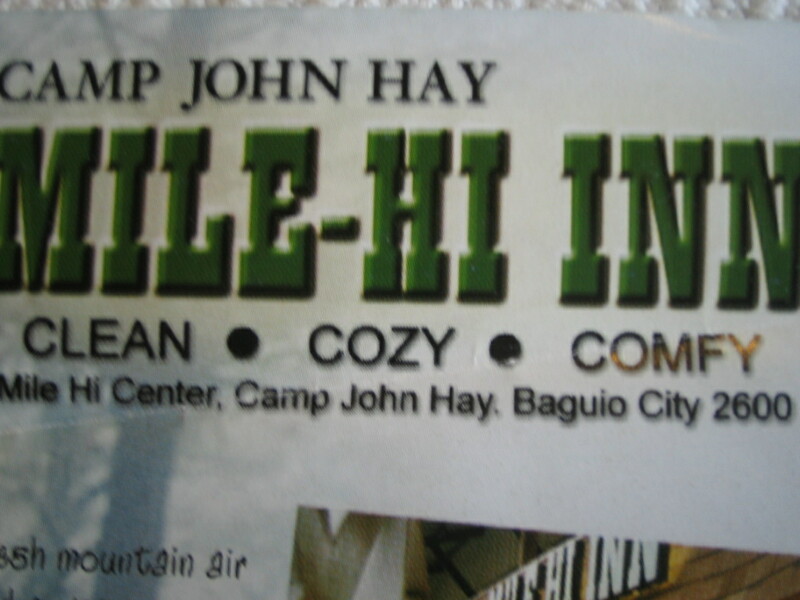 The interior design is Cordillera-themed. Bulols, anitos, wooden this and wooden that. Oh, there is a side story about how I furnished the house. Way before completion, I started to plan everything and anything that will go into the finished house. I timed the purchase of all furniture and appliances so that deliveries will coincide with the turnover date. I had everything ready, including paintings, decor, and kitchen utensils including tea towels. I did this in secret because my wife was going to see the house for the first time only when it was finished. But she did not know the surprise I planned. It was going to be so finished, all she had to bring was clothes and things to cook. For a lived in look, I wanted photos of my wife and my daughter – – – family photos, framed. I bought frames, and asked our maid to bring me our photo albums. I was going to choose the photos, and put them in frames while I was locked in one of the rooms. I felt very good that plans were going A-ok. Came the turn-over day. Deliveries were in clockwork precision. I asked items going to the third floor attic to be delivered first, and then the items going to the second floor, and finally things going to the ground level. So that the place is not clogged with deliveries, and we can work on other things while furniture and appliances were being lifted from the trucks to their designated spaces. As deliveries were being made, two men were mounting the paintings on the walls, the tiffany lamp was being installed. Then came the contractor who did my curtains, having measured the windows while the house was still under construction. They were installing the curtains on the 5th hour of Day 1. With everything in place, one help vacuumed the floor, while the other applied wax and made the floor shiny. Walls were wiped clean, and then Lysol was sprayed generously. The house is now 100% ready. In the evening, I invited the architect and her staff for cocktails. She couldn’t believe that on the 12th hour after turn over, the house looked like it’s been lived in for 6 months! We had drinks, and she got shocked that I had brought even wine glasses, coasters, chilled wine, canapes, and everything one can possibly think of. Well, I had a checklist in my laptop. I wanted to be sure it was going to ba a major surprise for my wife. Next day, she arrived. And told me something. She said that about a month ago, she was surprised that the maid asked her where the photo albums were. So much for surprises. 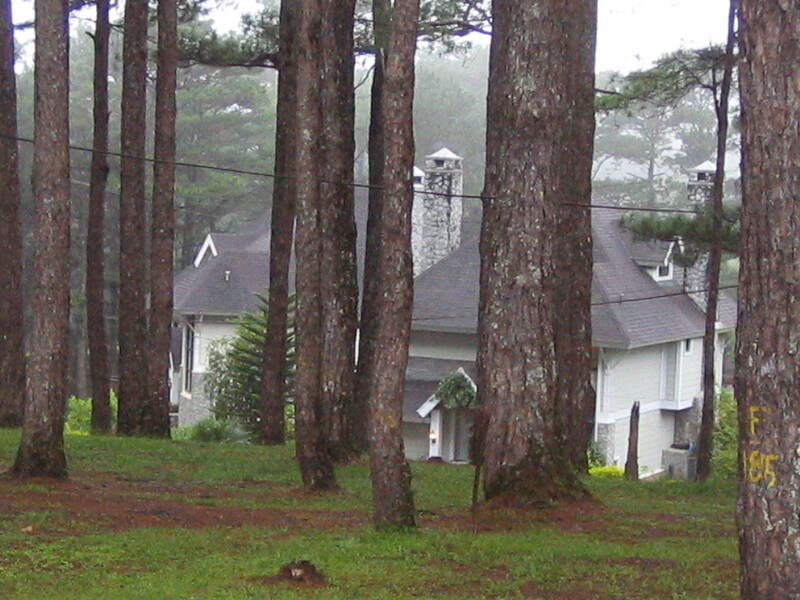 Today, we go up to Baguio to just enjoy the scent of pine trees. 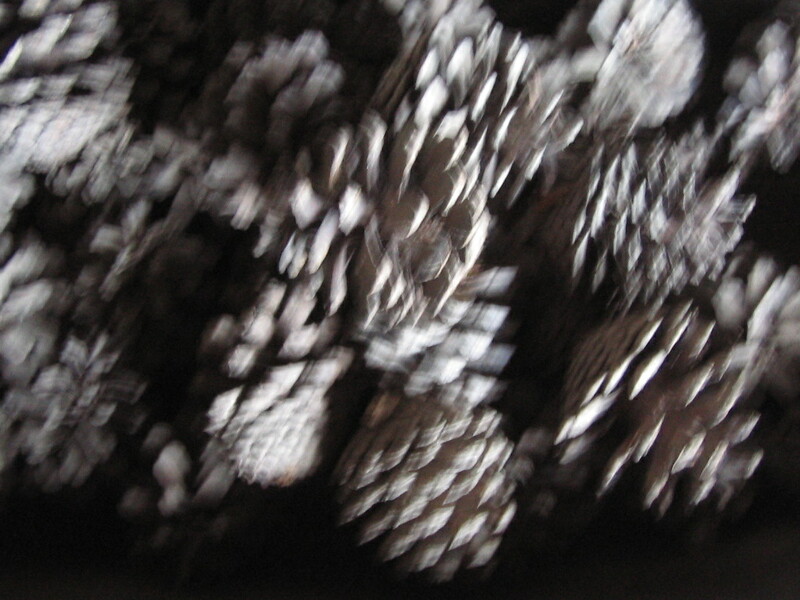 And collect pine cones. Friends inevitably ask me for my recommendations. 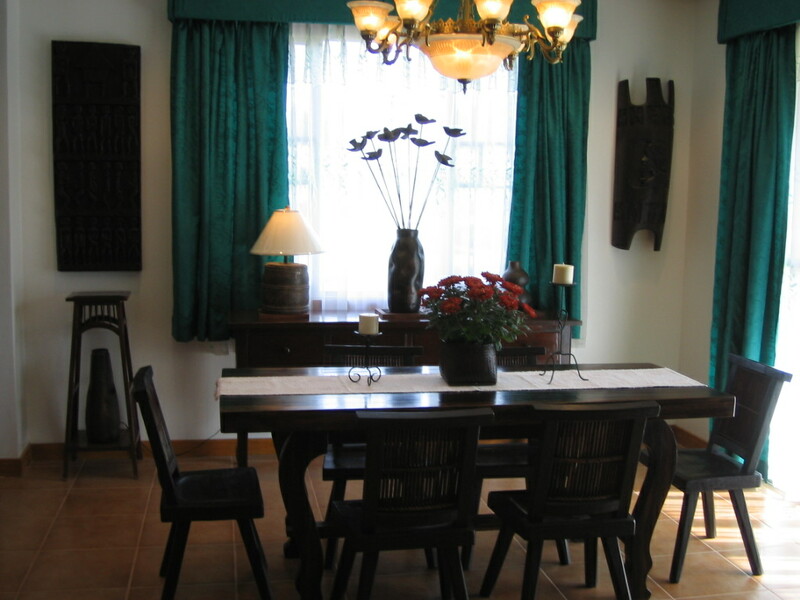 Top of the list is John Hay Manor, and its recently added adjunct, The Suites. 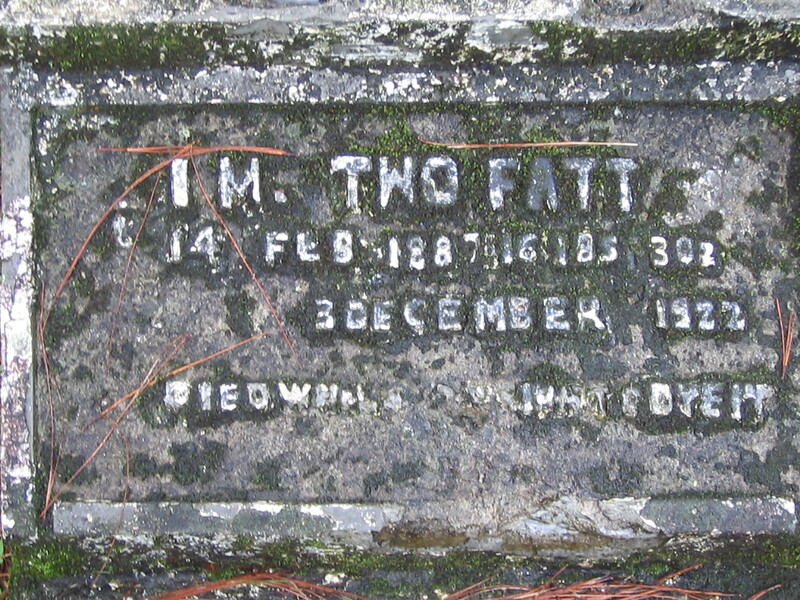 The second best is the South Drive Manor. 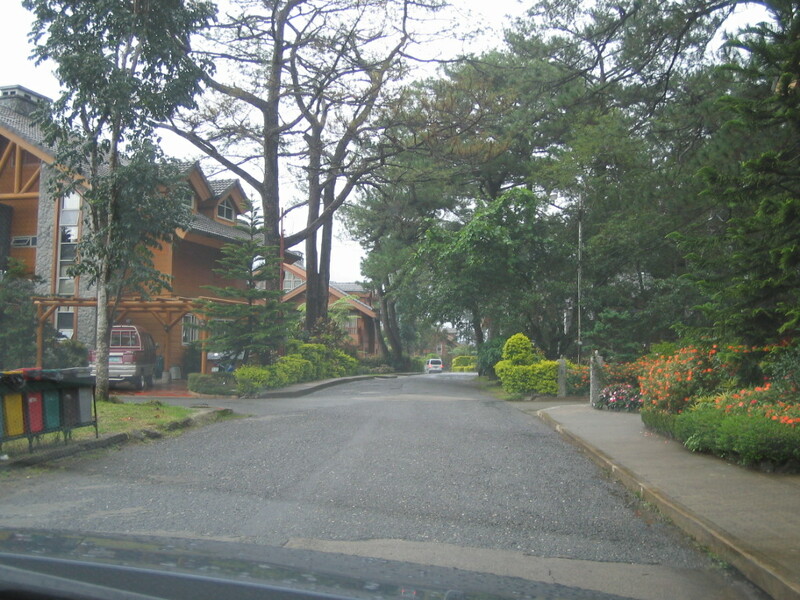 This is along South Drive, that road at the back of Teachers’ Camp, the same road going to Country Club. This hotel is charming, although the rooms are a bit small. 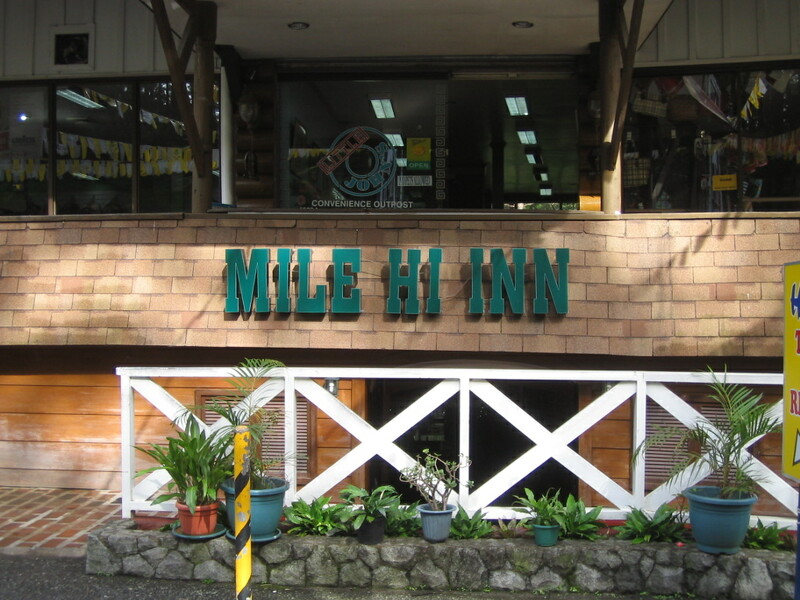 Best value is Mile Hi Inn, right inside John Hay, if you don’t mind being in the busiest area within John Hay. 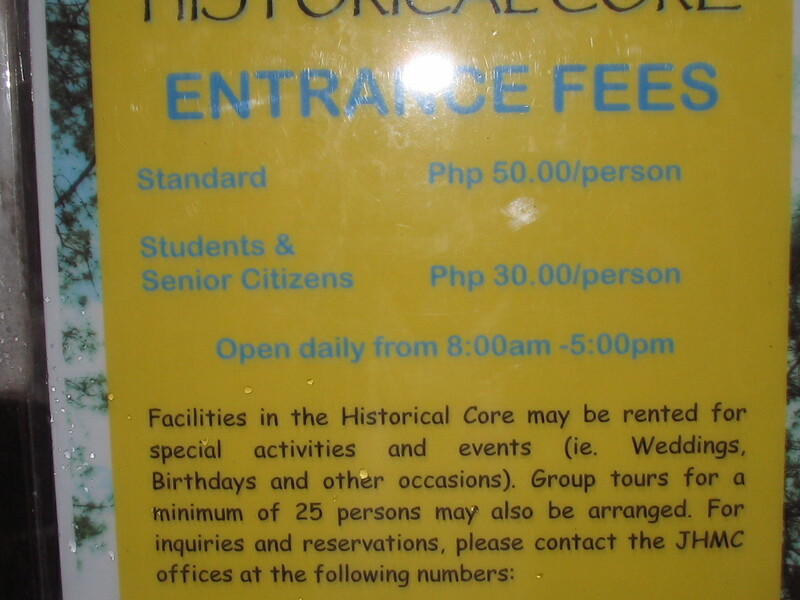 My top choice is PNKY, in front of Teachers’ Camp, directly opposite the old but recently repainted “haunted house” (previously owned by the Laperal family, now said to be owned by Lucio Tan). The place is also a bed&breakfast, and just about everything in the place, including the lamp shades in your room, can be bought. 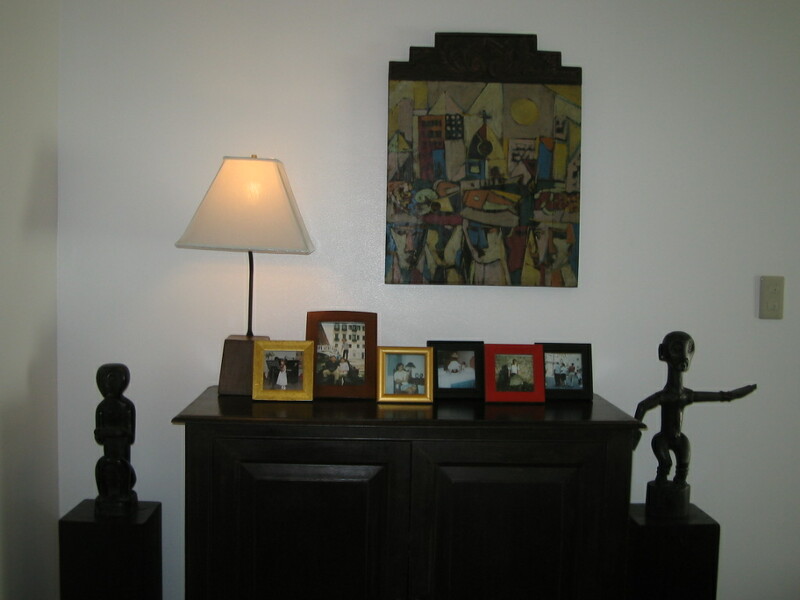 Yes, PNKY is also into home furnishings, and operates a shop in Makati’s LRI Plaza in Bel Air. 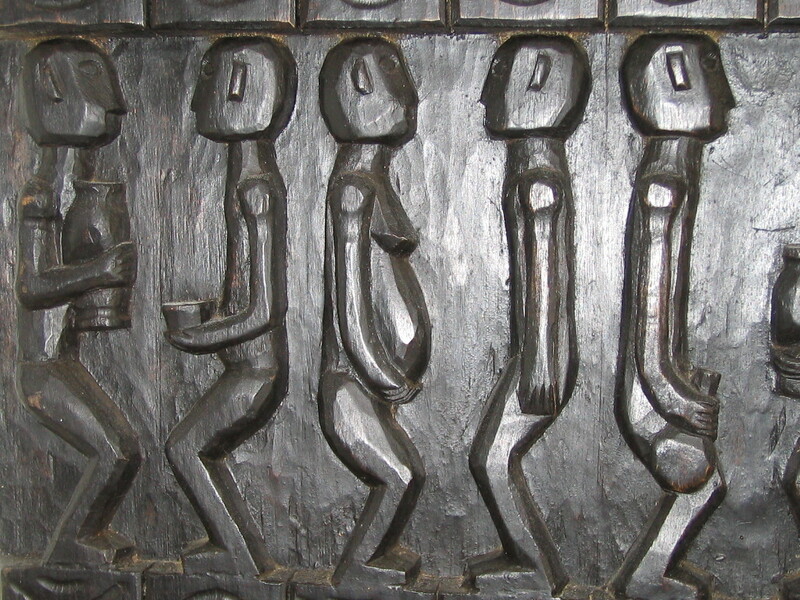 Dishes from all over the world are found in their menu. Shabby chic interiors. Not cheap. 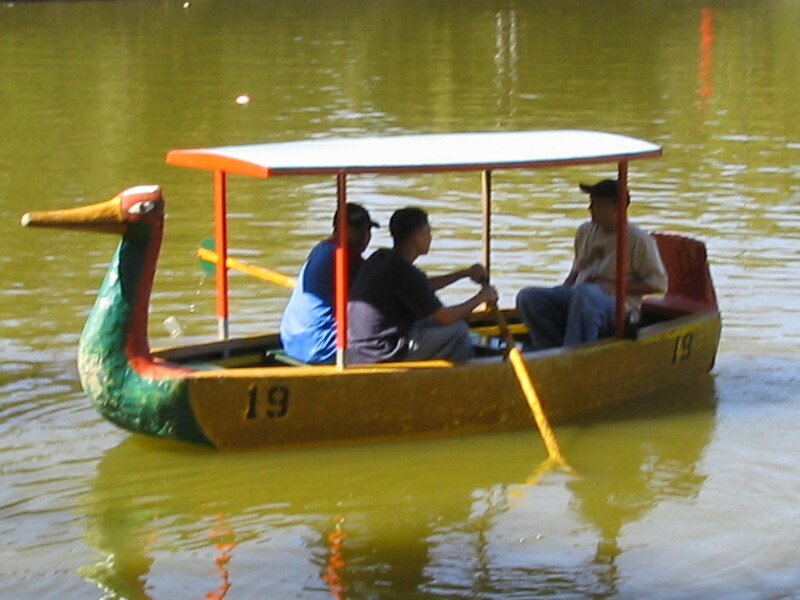 Another favorite is Solibao at the Burnham Park. 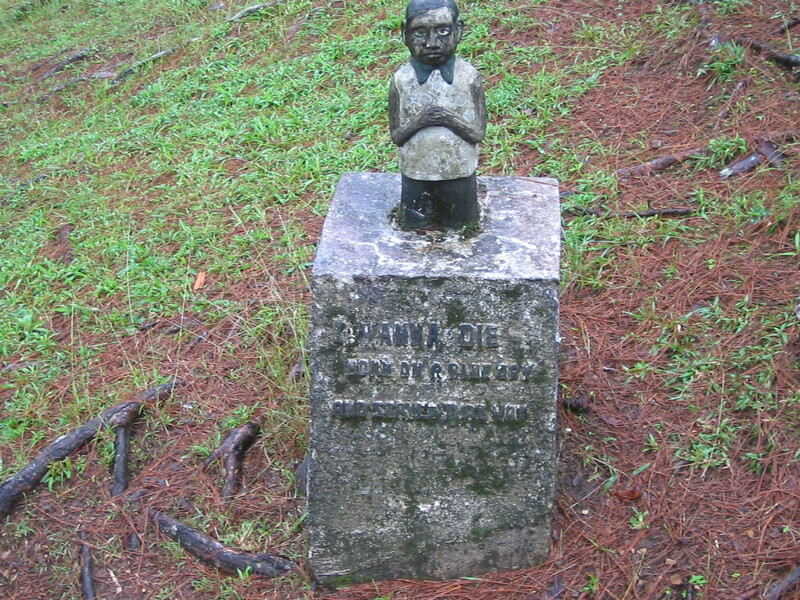 There is also a Solibao along Session Road. If you promise not to get annoyed with vendors who approach tables set al fresco, selling sweepstakes tickets, balisongs, strawberries, newspapers, or offering to shine your shoes, then sit outside. I always do, and have told myself when I sit there I won’t be annoyed, and politely tell the vendors off. Nice place for breakfast of tapsi. 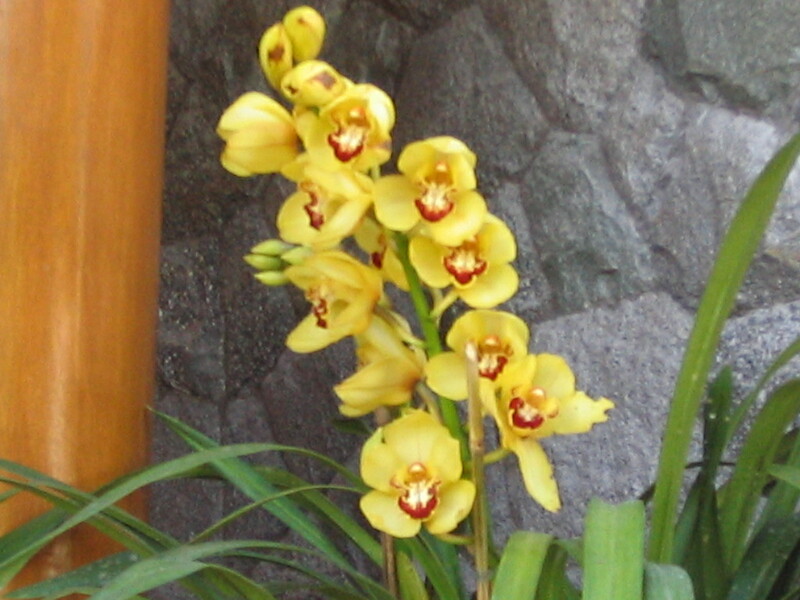 Fresh buco is also always available. 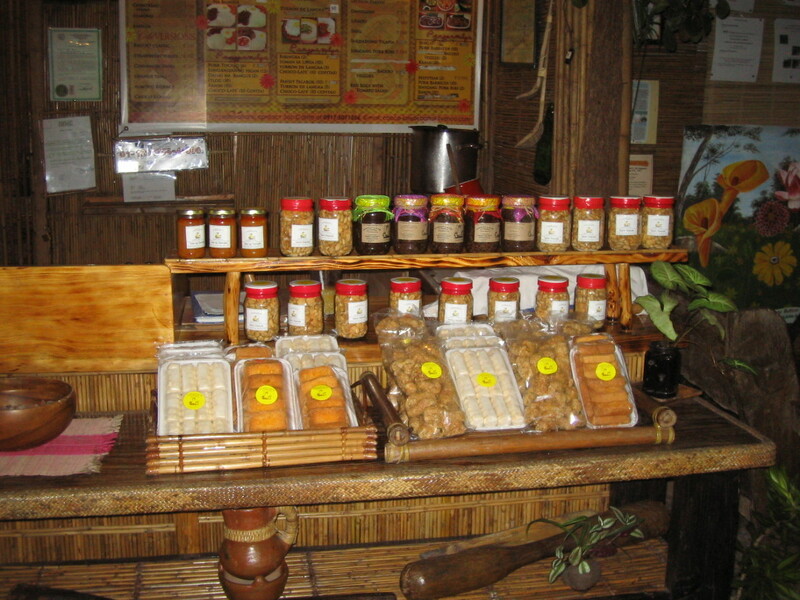 My favorite dish here is binagoongan, the best I have tried anywhere in the Philippines. 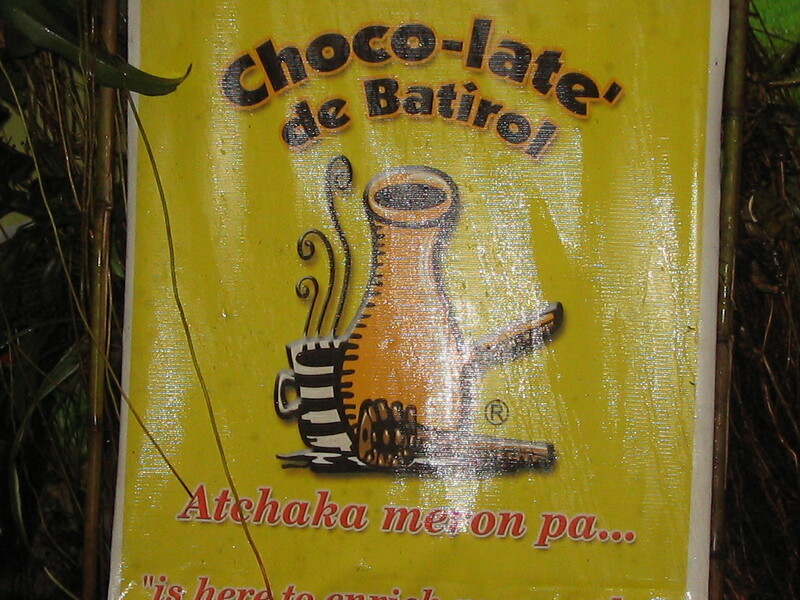 The Chocolate de Batirol is also on my “to recommend” list. 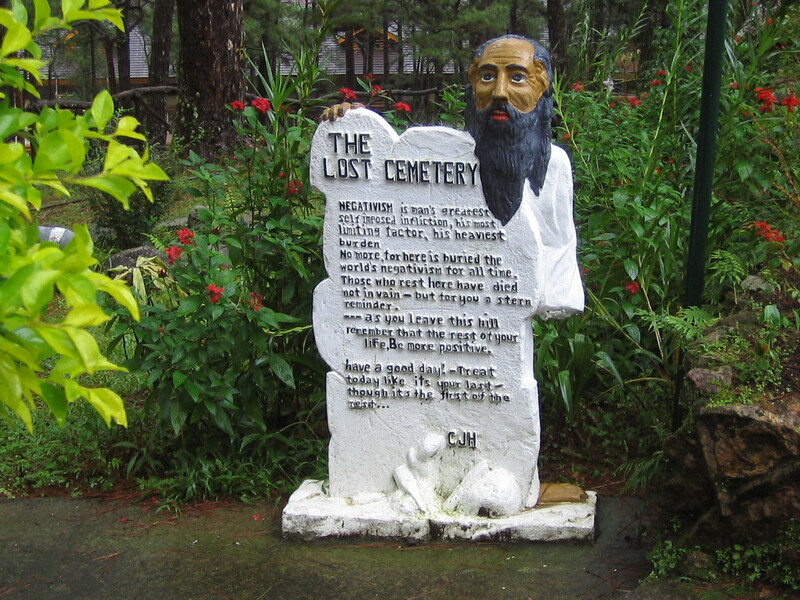 They have moved to a better location, right there at the Igorot Park inside John Hay, near the gate going to Baguio Country Club. 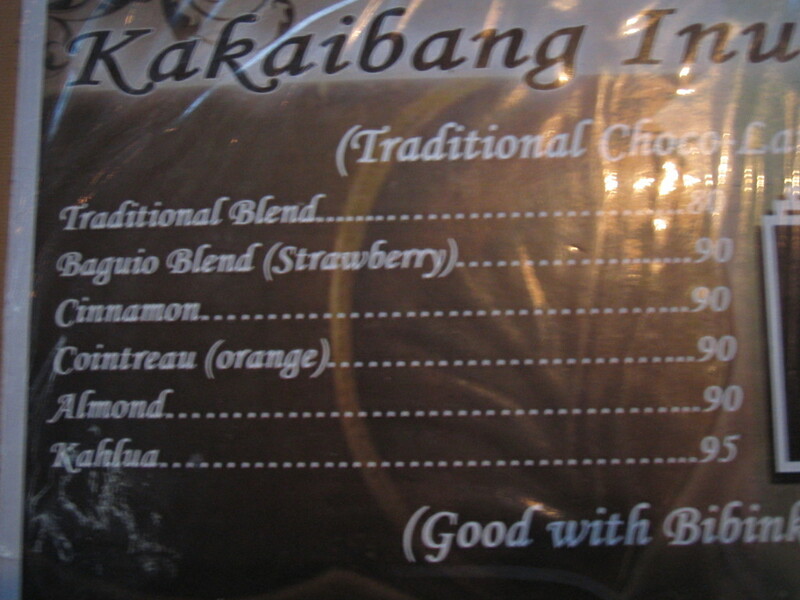 Of course you go there for rich, thick Spanish style chocolate to go with your suman or turon. They also serve lunch. I like this place a lot. Imagine savoring beautiful chocolate with the golf course as your setting. And who has not been to Cafe by the Ruins near the City Hall? 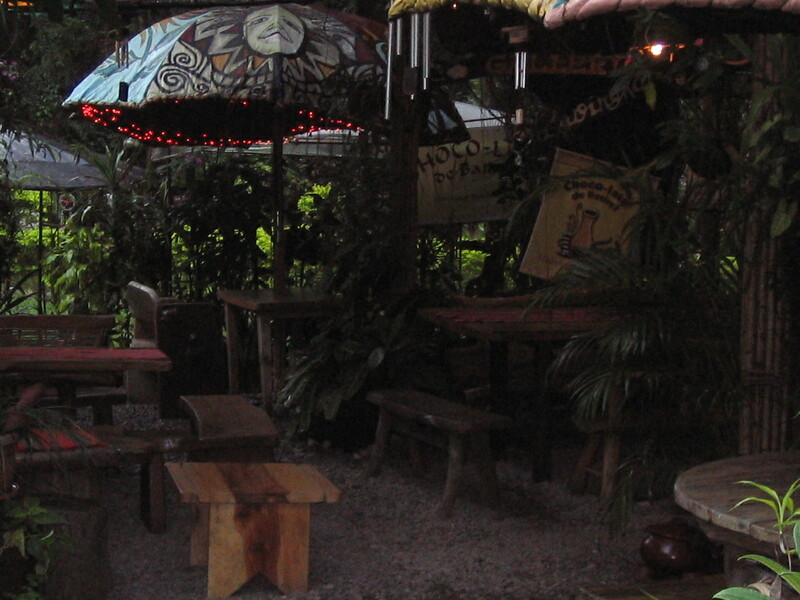 They claim that kings, queens, ambassadors, movie stars, Hollywood celebs, artists, poets, politicians, and the entire genre of the high and might, together with the “masa”, have enjoyed the Cafe by the Ruins experience. Try their camote bread. My favorite is anything that goes with my salabat with honey. Finally, Eve’s Garden. This is a hard-to-find place open only for lunch, by appointment. 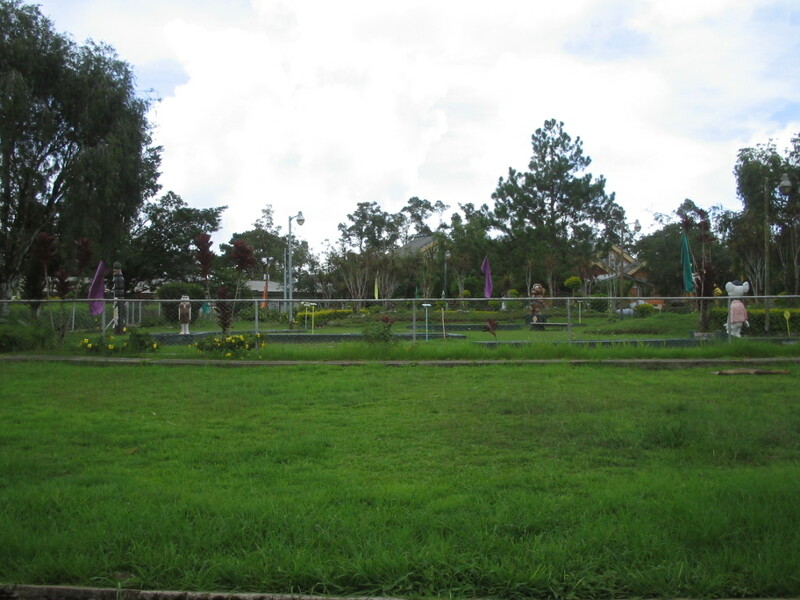 Doesn’t look like Sonya’s Garden in Tagaytay, even while Eve tells me Sonya’s went there to visit. Evelyn cooks very healthy dishes, with a lot of salad picked from the nearby gardens. Finding the place is half the fun. 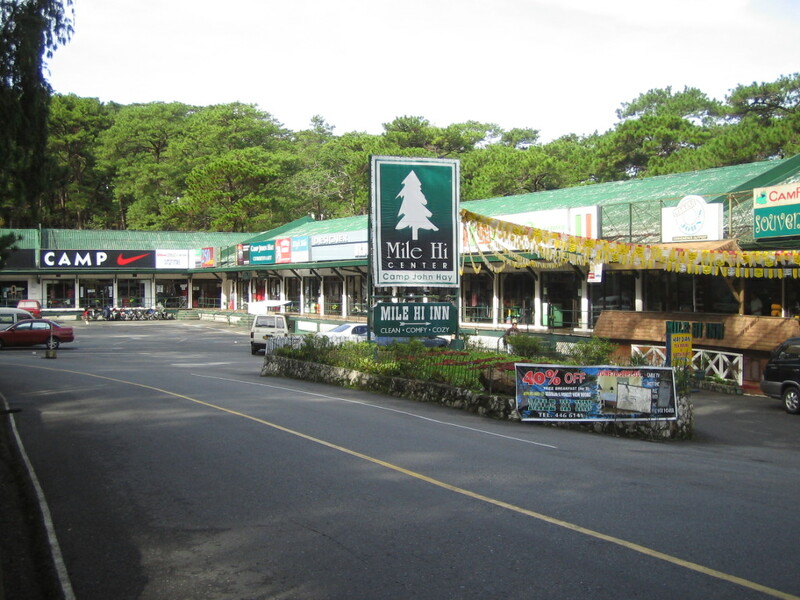 To go to Eve’s, you take the Naguilian Road, and turn right somewhere. I got her number and I am looking at where I kept it. Indeed, a very secret garden.